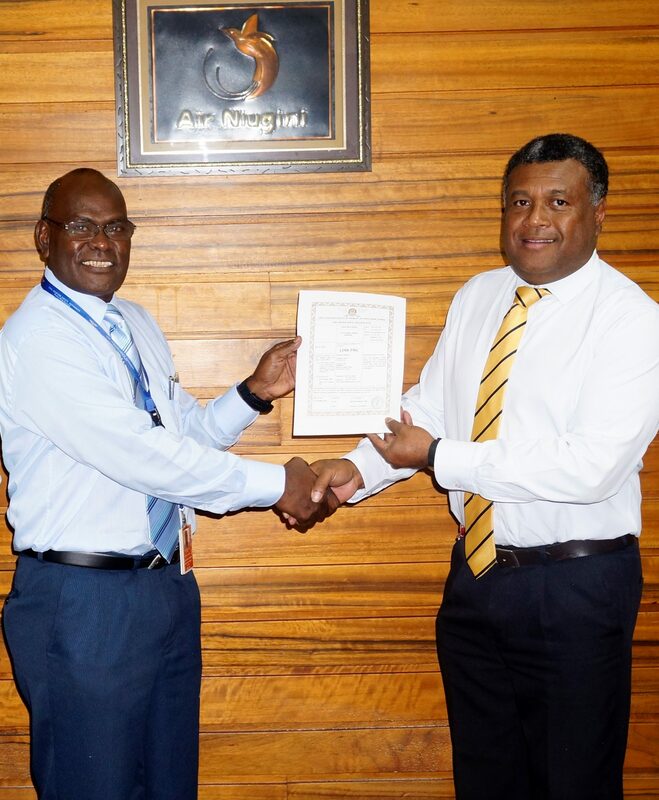 Link PNG, a subsidiary of Air Niugini has been presented with a three year Air Operator’s Certificate (AOC) after successfully completing its Air Operator review conducted by Civil Aviation Safety Authority, PNG (CASA PNG). The review focused on areas of safety and compliance within the airline and the renewed certificate now gives Link PNG the approval to fly for the next three years. Link PNG General Manager, Mr Daniel Wanma in receiving the certificate from CASA PNG Director, Mr Wilson Sagati last week said Link PNG has been able to demonstrate to the regulator its high level of safety standards and compliance, maintaining that safety should be adhered to on a daily basis. Mr Wanma also said Link PNG supported by its mother company, Air Niugini has strived to emulate the high standard of safety and compliance which ANG has maintained over many years. “Aviation environment in PNG is renowned for its challenges and the PNG regulator to its credit has adopted standards and practices that are among the best in the world and we as an airline are proud to have been able to demonstrate and achieve those standards”, Wanma said. Mr Wanma concluded that Link PNG will continue to serve the traveling public at the safest standards as enjoyed with Air Niugini in its 42 years of operations.